To most people, Emmett Conn is a confused old World War I veteran, fading in and out of senility. But in his mind, Emmett is haunted by events he'd long forgotten. 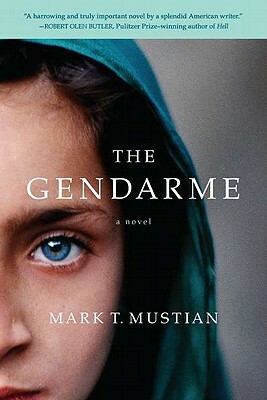 In his dreams, he's a gendarme, a soldier marching Armenians out of Turkey. He commits unspeakable acts. Yet he feels compelled to spare one remarkable woman: Araxie, the girl with the piercing eyes-one green, one blue. As the past and present bleed together in The Gendarme, Emmett Conn sets out on one final journey to find Araxie and beg forgiveness, before it's too late. With uncompromising vision and boundless compassion, Mark Mustian has written a transcendent meditation on the power of memory-and the dangers of forgetting who we are and have been. Mark T. Mustian is an author, attorney, and city commissioner. He lives in Tallahassee, Florida.